A 30 foot flameproof crepe paper streamer. 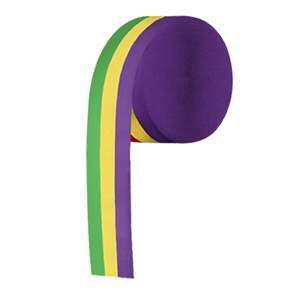 The 2.5" wide streamer is printed in the colors of Mardi Gras: purple, green & gold. It is bleed, fade and flame resistant.